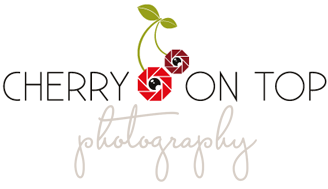 I have been in business for six successful years capturing hundreds and hundreds of babies and families. My private studio is an amazing space where we can be comfotable, secure and free to be yourself. Its like a home away from home. Have a look at the video above for a little “fly on the wall” look at my sessions. When it comes to photographing newborns, babies and families – experince and practice is essential. Each one of my clients have a brilliant, fantastic and relaxing time during my session. Trust in me to keep your newborn safe, to make you and your bump feel a million dollars, and for your family to have so much fun in their family sesison your kids won’t want to leave! My obsession is with light, love, joy and capturing beautiful bump, pure newborns in their very first days of life, and precious families. Photography is my absolute passion! I LOVE creating images that will last a lifetime. And I truly love it even more when parents (and parents-to-be) burst with excitement over my work when they see the end results. I really do LOVE what I do and feel very blessed to have this amazing talent to share with you. A photo, I believe, is something that stops a moment in time. To help you remember how you felt… right at that point in time. Their smell, their touch, their innocence and true beauty of being all yours. I love to create this record of art for my clients to cherish every part and moment of their newborn – from their beautiful eyelashes, squishy lips, and soft wisps of hair, to their tiny hands and feet. In years to come, my images will take you back to the day your newborn was tiny enough to fit in the palm of your hand and the days when they fell asleep on your chest. Toddlers grow so fast so lets capture them before they sit, or before they start walking or even celebrate their first birthday with a Cake Smash! Any day is a great day to capture your family, as they are! An absolute priority for me is my clients having a good time during their session, having a seamless ordering process and being left with fond and delightful memories of our time together. I look forward to meeting you and giving you a wonderful experience that you will reflect upon fondly. Check out my Blog, Facebook and Instagram for my latest sessions.